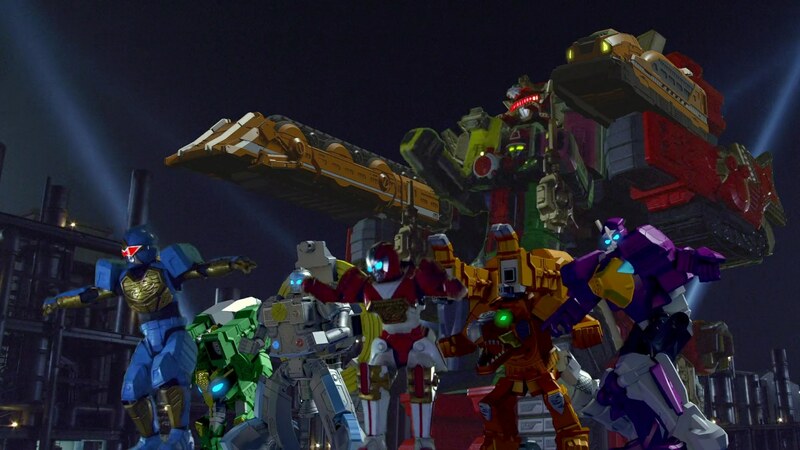 But as for the movie itself, I think this might be the best Sentai vs. movie in years. (Go-Busters vs. Go-Busters, not included) The last couple of outings have been forgettable and/or repetitive. But Ninninger vs. ToQger felt like it was a more cohesive and engaging story. It used some familiar set-ups, but was able to draw more upon both seasons’ storylines and characters to create a full stand-alone movie. Now I’ve already expressed my deep love and admiration for ToQger as well as my defense of Ninninger. So when I saw the predictable tweets disparaging both series after the movie was first made available on DVD and now with English subs, I just rolled my eyes and proceeded to excitedly sit down and watch it. The movie starts off with the Ninningers in a very familiar-looking train. They’re on vacation and on their way to Ninja Land. There are still a couple of stops before they arrive, but the cousins suddenly get picked off at each of the stops which turns into strange dream sequences. 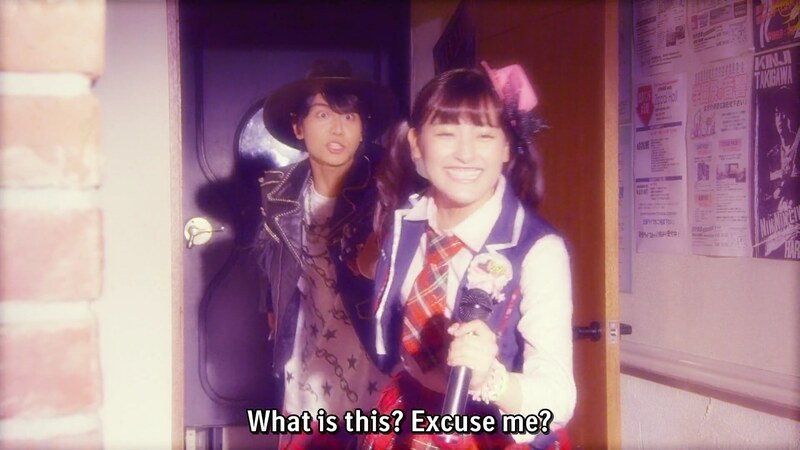 And in each of those dream sequences, they meet the ToQgers. Rock star Kinji is saved by pop idol Kagura. Ninja spies Yakumo, Nagi and Kasumi are saved by the one and only Kendama Detective Hikari. And finally, Mio runs into the church to stop Tokatti and Fuuka’s wedding. The dream sequences were a great way to quickly introduce the ToQgers. And each of them touching on character beats from the series was pretty awesome. We saw Kagura the future idol/director and the return of Hikari’s unbeatable kendama. And then we got the continuation of Tokatti and Mio’s OTP-ness. (“I was just carried away. We’re still good, right?”) Be still my shipper heart. 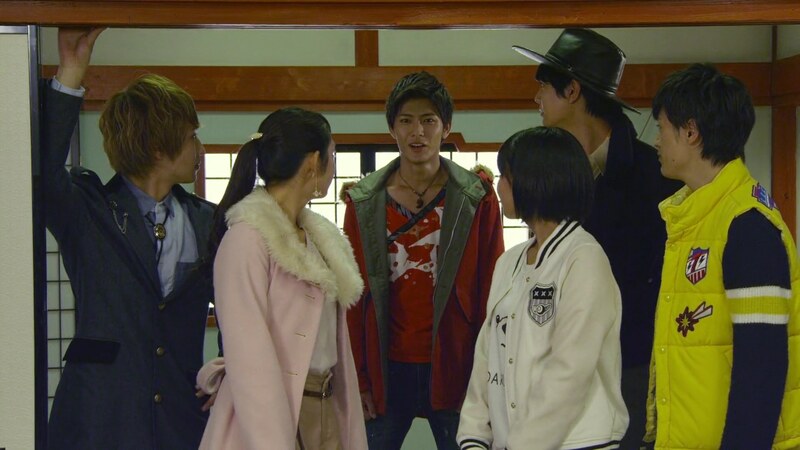 After a great little montage of ToQger‘s most fun and memorable scenes, we have the meeting of the Reds as Right saves Takaharu from the Shadow Line’s newly arrived Doctor Mavro. Right sees himself in Takaharu. They are both selfless, but also sometimes too impulsive and forget about the people who care about them. The movie sees Doctor Mavro wanting to steal the Ninningers’ Nintality to help spread darkness over the world. And when he is able to take Takaharu’s Nintality and turn it evil, Takaharu slowly begins to disappear. He is fully ready to just die, as long as he will be able to stop the evil plan and save the world and his family. The situation of course draws a parallel to Right’s own impulsive decision to sacrifice himself to save his best friends. And he himself realizes it. Throughout the movie, we see the story reinforce the idea that it’s better when they’re all together. Whether it’s as a team, as best friends or as family, nothing beats working together rather than carrying a burden all alone. The scene at the dojomanse of a worried and frightened Tsumuji was one of the best of the movie. It might have been the most emotional one. And whenever the ToQgers are involved, I expect some emotional sentimentality. Interestingly enough, this movie lacked that usual MaGMCM the ToQgers are ones to provide. But this scene came closest to it for me. 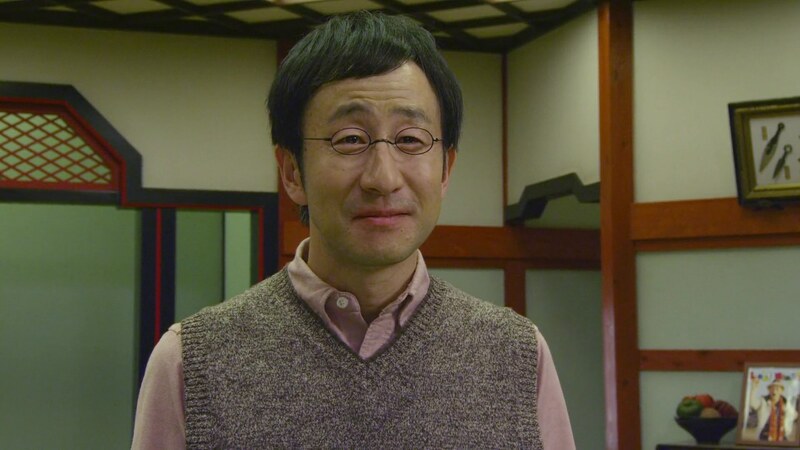 One criticism of Ninninger is the lack of story that supported the family aspect of the characters. I already explained my take on that in my Hindsight Review. And it basically played out again here. You wouldn’t see this kind of emotional gut reaction to a dire situation if the team’s bond wasn’t by blood or close to it (like the ToQgers) or been preceded by a perfectly crafted story. The final final scene of the movie, when the cousins arrive home to a relieved Tsumuji, illustrates this point very well. So pairing the ToQgers and Ninningers definitely provided an easy template for a story that would blend both series’ strengths. Not to mention IMAGINAAAATION being one of the biggest drivers of the story as well. Back to the story… With some great cameo appearances from General Schwarz, Madame Noire, and the just can’t catch a break with big intros Baron Nero, we get the requisite team-ups from the ToQgers and Ninningers. Each little group of team-ups again worked well to draw upon each character’s personalities as well as provide some fun gags and jokes. Simultaneously, we saw Takaharu and Right starting the battle against the evil Akaninger and Akira finally arriving to stage an epic battle against Doctor Mavro. Speaking of, that battle between Akira and Mavro was spectacular. Toei only recently started to increasingly using drones to film their series. And I would not be surprised if they used drones to film this epic fight. (Drones aren’t limited to only aerial shots, of course.) It was an excellently choreographed battle and maybe the most exciting human battle of the movie. That doesn’t discount the final on-ground morphed battle which was very good as well. Though it hurt to see Noire, Schwarz and Nero get killed all over again (even if just copies), the battle was full of fun action. But it only got better after that with an incredible mecha battle. Nighttime (or in this case, just regular darkness) mecha battles always present a different, more exciting feel than the usual. And the set design and direction for this final battle was just amazing. The different, new combos (Ha-Oh ToQ-Dai-Oh!) and weaving the mechas of both the ToQgers an Ninningers together in interesting ways added a great deal to make the movie’s climax well worth it. 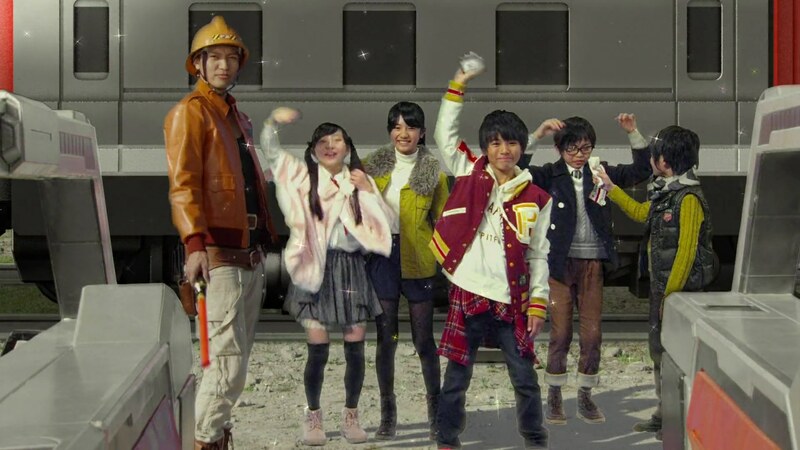 As the ToQgers bid farewell to the Ninningers, I was just hoping and hoping that we’d get just even a short glimpse of the amazing younger versions. And right after they passed through the turnstile, we did. 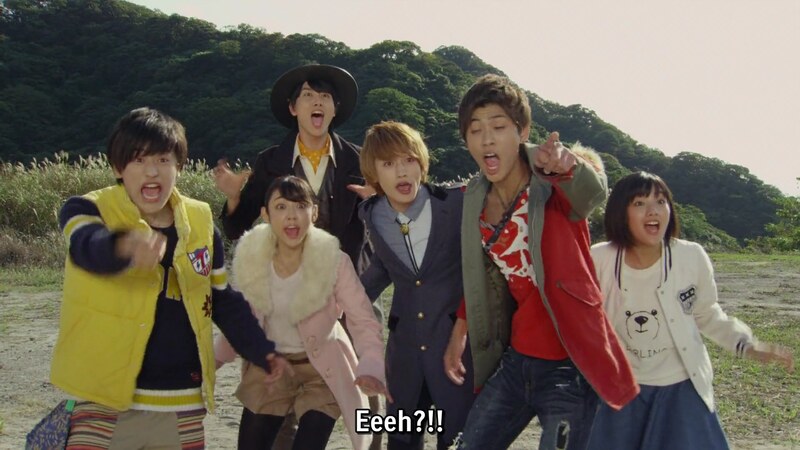 I’d say the Ninningers’ reaction to the “ToQgers are kids” reveal was much better than the Kyoryugers’ reaction. Going back to the rest of the movie, it’s interesting how the ToQgers (who are still kids of course) basically took the lead and came across as more mature than the cousins. Some might point out that puts the Ninningers in a bad light. 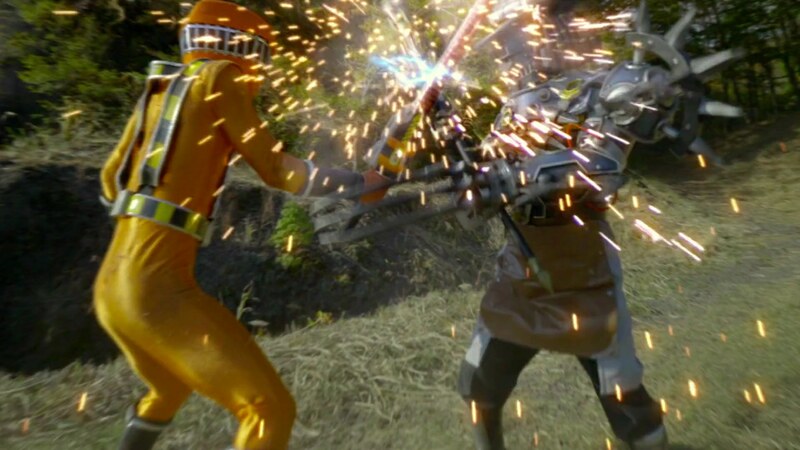 But then again, the ToQgers went through a much rougher ordeal than the Ninningers. And they did A LOT of growing up during their year. It’ll be something that really sets the ToQgers apart from any other team. They were of course the vets too. But the Ninningers’ story didn’t really have them “grow up” like the ToQgers did. Instead, they acted like they did in the series; as young, teenage cousins who are more carefree than young kids who had to fight evil to get home to their families. Elsewhere, it was just amazing to hear ToQger‘s excellent grand score playing again. And Ninninger‘s score was able to fit very well too. Doctor Mavro’s design continues the streak of excellent, creative designs from ToQger and the Shadow Line. It really is a shame that Saban Brands, Bandai and Nickelodeon are so dumb and incompetent that they can’t figure out how to get one adaptation a year and make it work instead of skipping seasons. While it was great to see Ticket again, I’m sad we didn’t get even small cameos from Conductor or at least Wagon. And the Zyuohgers were forcibly shoehorned in again like every next-Sentai team, though not as bad as previous years. Overall, Shuriken Sentai Ninninger vs. ToQger the Movie: Ninja in Wonderland is the best and most cohesive vs. movie in years. It was able to take the best parts of both seasons to put together a great story, using each characters’ strengths and quirks to full advantage. 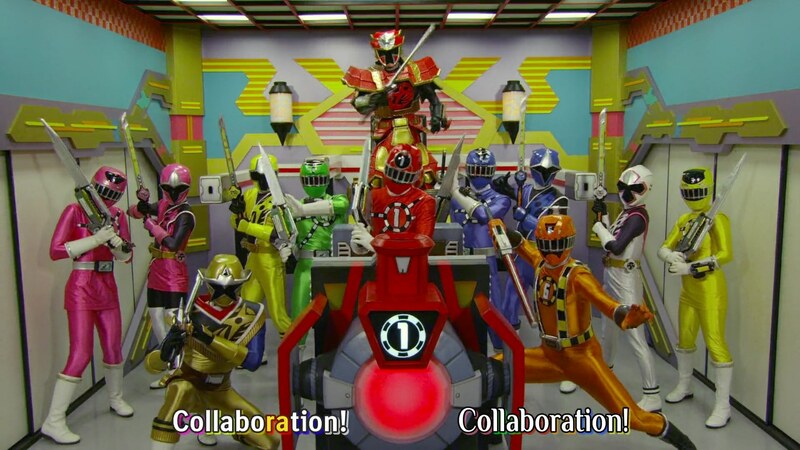 It definitely made me miss both teams, but of course ToQger more. While the Ninningers still have two more movies to go, this is the last time we’ll see the ToQgers in a full and official capacity. (Unless in 10 years, we get the kid actors and main cast all in one hilarious, fun, crazy and emotional reunion special.) And it was a nice way to say goodbye… that is, “Until next time…” to these wonderful train children. ← Recap: The Amazing Race 28, Episode 7 – "…on a midnight train to Georgia." Don’t you worry 😉 I call ToQGer Power Rangers Imaginatrix! 😉 how’s that?